A cough is a symptom, not a disease in and of itself, that’s often indicative of an underlying condition. A cough can accompany a common cold, for instance, or be due to allergies, lung disease, or even gastrointestinal troubles. Although the causes are varied, the reason you cough is to help your body get rid of foreign material or mucus from your lungs and upper airway passages. It’s one of your body’s protective mechanisms designed to keep you breathing easy. Sometimes, it’s easy to determine why you’re coughing but it can also be a mystery. A cold or allergy can cause mucus to drip down your throat. This postnasal drip can touch on nerve endings, leading to either a wet or dry cough. A cough due to postnasal drip will usually be worse at night, and you may also have a tickle or scratchy feeling at the back of your throat. If allergies are causing the postnasal drip, you may also have itchy eyes and sneezing. If you have postnasal drip accompanied by congestion, pressure in your face, cold symptoms lasting longer than 10 days, and thick green or yellow mucus, you could have a sinus infection. In this case, irrigating your sinuses may help. It appears to work by thinning mucus, decreasing swelling in your nasal passages, and removing debris, bacteria, allergens, and inflammatory substances from your nose, hence decreasing swelling that makes it hard to breathe. To make your own preservative-free saline solution, just add one teaspoon of Himalayan or sea salt to one pint of distilled water. Make sure you use a saline solution that does not contain benzalkonium, a preservative that can impair your nasal function and might sting and burn. A dry cough coupled with a rattling or wheezing sound is often a sign of asthma. In this condition, your airways become inflamed, leading to wheezing, coughing, and difficulty in breathing. Cough due to asthma typically worsens at night or while exercising. It may be accompanied by chest tightness, shortness of breath, and fatigue. If you have asthma, I suggest looking into The Buteyko Method, which teaches you how to bring your breathing volume back toward normal or, in other words, to reverse what’s called chronic hyperventilation or chronic over-breathing. When your breathing is normal, you have better oxygenation of tissues and organs. Optimizing both your gut health and vitamin D levels should also be at the top of your list if you’re suffering from asthma. After food passes through your esophagus into your stomach, a muscular valve called the lower esophageal sphincter (LES) closes, preventing food or acid to move back up. GERD, also sometimes referred to as acid reflux, occurs when the LES relaxes inappropriately, allowing acid from your stomach to flow (reflux) backward into your esophagus. A GERD-related cough is likely to become worse when you’re lying down or eating. It may be associated with other GERD symptoms, such as heartburn, but in 75 percent of cases, chronic cough is the only symptom. Conventionally, GERD is thought to be caused by excessive amounts of acid in your stomach, which is why acid-blocking drugs are typically prescribed or recommended. The problem also typically results from having too little acid in your stomach, which is why drugs like proton pump inhibitors (PPIs) typically just perpetuate the problem and make GERD worse. Ultimately, the answer to heartburn and acid indigestion is to restore your natural gastric balance and function. Eating large amounts of processed foods and sugars is a surefire way to exacerbate GERD, as it will upset the bacterial balance in your stomach and intestine. Instead, you’ll want to eat a lot of vegetables and other high-quality, ideally organic, unprocessed foods. Also, eliminate food triggers from your diet. Common culprits here include caffeine, alcohol, and nicotine products. Next, you need to make sure you’re getting enough beneficial bacteria from your diet. This will help balance your bowel flora, which can help eliminate H. pylori bacteria naturally without resorting to antibiotics. It will also aid in proper digestion and assimilation of your food. Ideally, you’ll want to get your probiotics from fermented foods. If you aren’t eating fermented foods, you most likely will need to supplement with a probiotic on a regular basis. Another option if you have too little stomach acid is to take a betaine hydrochloric supplement, which is available in health food stores without prescription. You’ll want to take as many as you need to get the slightest burning sensation and then decrease by one capsule. This will help your body to better digest your food and will also help kill H. pylori and normalize your symptoms. 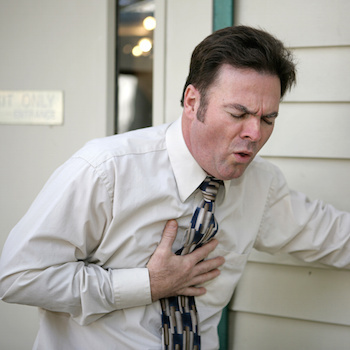 If you’re chronically coughing and hacking up lots of mucus (especially in the morning) your cough may be due to COPD. Typically, the cough will be worst in the morning and ease in severity throughout the day. You may also experience shortness of breath (particularly with physical activity), wheezing, fatigue, and chest tightness. Smoking is a major cause of COPD, which includes both emphysema and chronic bronchitis. In emphysema, the air sacs in your lungs eventually lose their elasticity and start to worsen. Chronic bronchitis happens when there is a swelling in the linings of your lungs and it constrains your breathing. Drugs known as ACE inhibitors, which are used to treat high blood pressure, can cause a dry cough in about 20 percent of patients. If you noticed your cough a few weeks after starting this medication, it could be to blame. While you shouldn’t stop blood pressure medication without your doctor’s guidance, it’s important to be aware that high blood pressure can often be remedied with lifestyle changes. If you are diagnosed with high blood pressure, dietary strategies will be crucial to controlling your levels. One of the primary underlying causes of high blood pressure is related to your body producing too much insulin and leptin in response to a high-carbohydrate (i.e. high sugar) and processed-food diet. Avoiding processed foods (due to their being high in sugar/fructose, grains, trans fat, and other damaged fats and processed salt) is my number one recommendation if you have high blood pressure. A comprehensive fitness program is another strategy that can improve your blood pressure and heart health without resorting to medications. Pneumonia starts out as a dry cough but progresses into a wet cough with yellow, green, or red mucus. Your cough may be accompanied by fever, chills, trouble breathing, or pain when coughing or breathing in deeply. Anytime you cough up excess mucus and phlegm, spit it out rather than swallowing it, as swallowing excess mucus can cause irritation to your stomach. Most people with pneumonia can recover safely at home by drinking lots of fluids and getting rest. However, in severe cases, in the elderly or in young children, pneumonia may require hospitalization to receive fluids, breathing treatments, and oxygen therapy. Pneumonia may be caused by a virus or bacteria. Although antibiotics are sometimes given, they will not be effective for viral pneumonia. 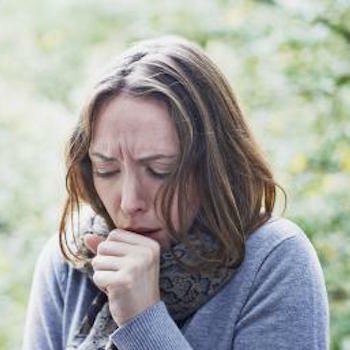 Whooping cough causes a severe cough that ends with a whooping sound as you breathe in. In the US, from January 1 to June 16, 2014, there were nearly 10,000 cases of pertussis, or whooping cough, confirmed by the US Centers for Disease Control and Prevention (CDC). This is a 24 percent increase compared to the same time period in 2013.5 The CDC maintains that the best way to prevent pertussis is to get vaccinated, but this deserves a closer look. Avoid mucus-forming foods, such as milk, flour, and eggs, as well as sugar. Eat light foods such as vegetables, soups with garlic, and herbal teas. Homeopathic remedies for pertussis include Coccus cacti and the nosode. Pertussin. Drosera is recommended for coughing fits followed by gagging, retching, or vomiting. Cuprum may be indicated for coughing fits followed by gasping for air, difficulty breathing, or that end in exhaustion. Wild cherry bark lozenges may soothe your throat. Try up to 5,000 milligrams of vitamin C daily for seven days. Keep your room and home well-ventilated and free of smoke. Use a warm air humidifier with essential oils (try basil, cyprus, marjoram, thyme, wintergreen, tea tree, camphor, lavender, chamomile, peppermint, or eucalyptus). Massage essential oils with a carrier oil (like coconut oil) into the patient’s chest or back. Acupuncture may be beneficial (and its effects for whooping cough are recognized by the World Health Organization). Arrange pillows so the patient can be more upright while sleeping. Boil fresh ginger root in water for 20 minutes, then add the water to a foot bath to soak feet for up to 20 minutes. Heat a pan of water to just boiling, then add a few drops of oil of thyme. Have the patient breathe in the steam from the pan (cover his or her head with a towel, being careful to avoid getting burned). Keep skin hydrated by massaging in coconut oil daily. What Works To Soothe A Cough? Most uncomplicated colds, which often lead to coughs, last between eight and nine days, but about 25 percent last two weeks, and 5-10 percent last three weeks. How quickly your cold is resolved has a lot to do with your general lifestyle habits and the state of your immune system. Related reading: Our top 10 favorite essential oils for relieving cough, cold and sore throat.